Some answers to all the questions. I grew up with a mother who was a fabulous cook, working in restaurants and pub kitchens as THE cook, so aways knew the value and worth of good appliances. But it seems not everyone does. We had a volunteer here who carelessly handled my big chef’s knife. Seriously – she was washing up and I was wiping, I picked up my big knife to put it back in the knife block and it’s got a massive big chip out of the cutting edge – so big that it will take years to eventually be ground away. Somewhere in the washing up she has banged it on something and caused it big damage. I’m usually pretty laid back, but I freaked out about it. 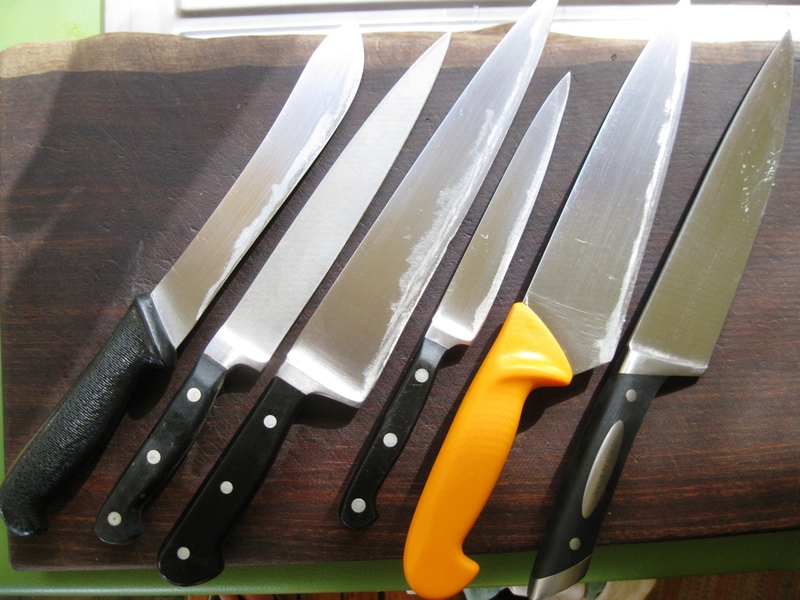 So now, they get told as soon as they enter the kitchen about proper respect for my knives or sometimes I just hide them. AND to never touch Greg’s!! Heaven forbid. Even though I might pinch one if mine are too blunt to cut the meat up. But only for meat. It makes me cringe to see the way knives are used, cutting stuff on the sink, on the counters, on the plates, sometimes even in saucepans. Or rattling around in a drawer with all the other utensils. 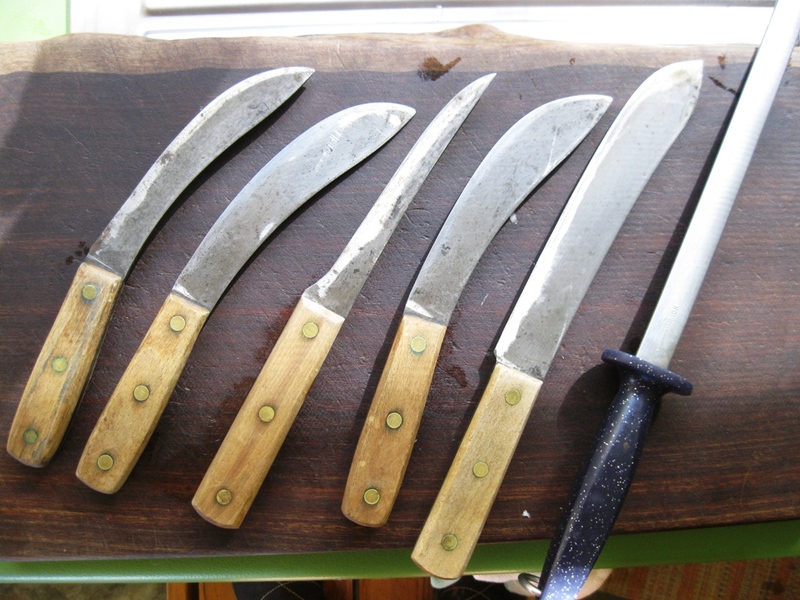 A knife should be very well cared for – after all it’s pretty dam difficult to get the MOTH to sharpen them. I try but it’s just not the same! And when they do become blunt there is only so much you can do with a steel. Couple of weeks ago we had a nice lady bring us out a carton of wine, she wanted to check the condition of the bottles within the carton. So plonking the carton down on the counter she grabs my big Swibo and aims it at the carton. “No you don’t,” I said, lunging for the knife, before handing her a grotty old serrated one from Kmart. “Go for your life with that one.” I must admit when it comes to those type of knives, I have absolutely no respect at all. They are tools. But right at the moment all our knives are not too sharp at all. It’s been sooo long since it rained that they haven’t been sharpened for something like a year! You see it’s a rainy day job.